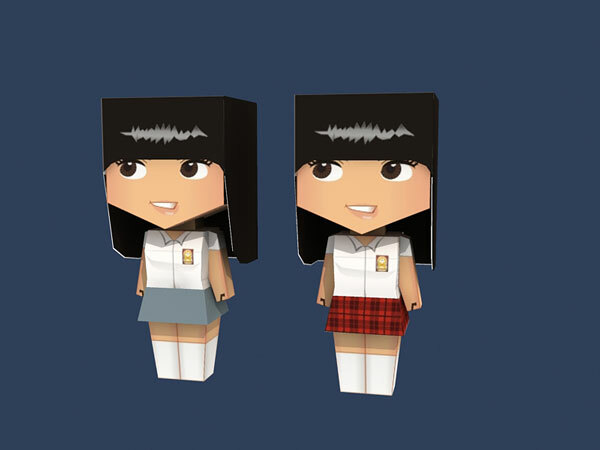 Adorable high school girl papertoy. Not like the previous high school papercraft this one is very easy to build. Available with 2 color options for her skirt. 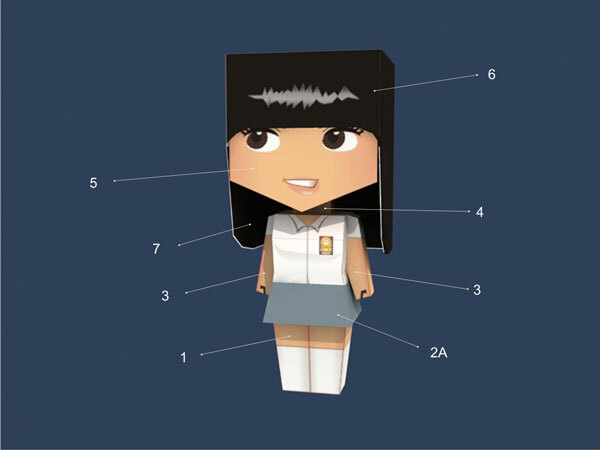 This papertoy modify from papertoy that exclusively I designed for MAXIM Indonesia magazine. In the meantime Optimus Prime part 3 (arms) is still in progress.